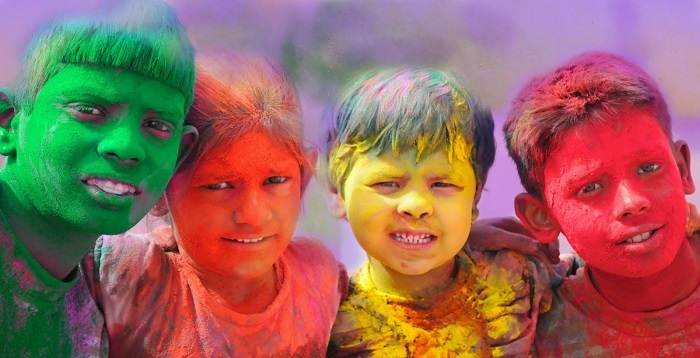 Home Holi Why is Holi celebrated? 'Phagwah' is derived from the name of the Hindu month 'Phalgun', because it is on the full moon in the month of Phalgun that Holi is celebrated. The month of Phalgun ushers India in Spring when seeds sprout, flowers bloom and the country rises from winter's slumber. Holi is also associated with the Puranic story of Holika, the sister of demon-king Hiranyakashipu. The demon-king punished his son, Prahlad in a variety of ways to denounce Lord Narayana. He failed in all his attempts. Finally, he asked his sister Holika to take Prahlad in her lap and enter a blazing fire. Holika had a boon to remain unburned even inside fire. Holika did her brother's bidding. However, Holika's boon ended by this act of supreme sin against the Lord's devotee and was burnt to ashes. But Prahlad came out unharmed. 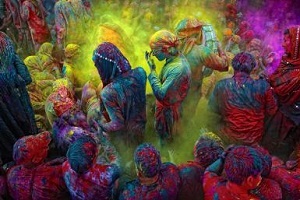 Holi is also associated with the Divine Dance known as Raaslila staged by Lord Krishna for the benefit of his devotees of Vrindavan commonly known as Gopis.